As 2013 draws to an end, it is time to make a round-up of this year’s best TV shows. 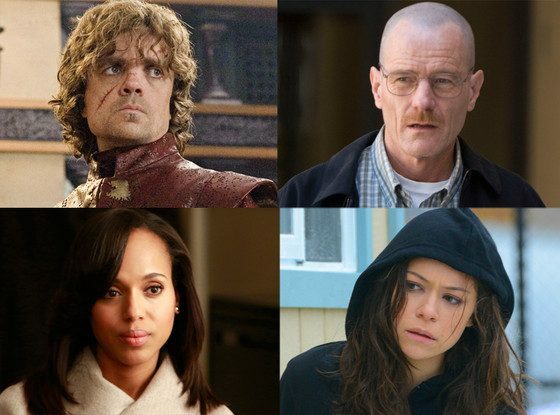 2013 was considered “a great year for TV” for many critics and here at MXDWN Television. Here is a list of the top ten television shows for the year. BBC America’s sci-fi hit drama Orphan Black was one of the most acclaimed new shows of 2013, so it had to make this list. The first season of the show managed to get a rating of 8.3 out of 10 in IMDB and 8.7 points out of 10 on Metacritic, as well as 8 out of 10 on Rotten Tomatoes. 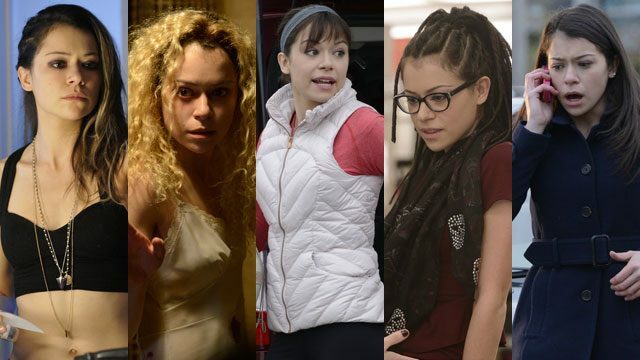 The show revolves around actress Tatiana Maslany and her multiple characters – the Canadian actress has portrayed, up until now, six clones, who are all very different from each other, despite their obvious identical look, and has done a great job with each. Orphan Black, which was renewed for a second season, has won 7 awards this year, including a Critics’ Choice Award, a Young Hollywood Award and a Television Critics Association Award. The show has also been nominated for four other awards, three of which are still pending results, including a Golden Globe nomination for Tatiana Maslany. FX’s The Americans is a period drama series which is set during the Cold War in the 1980s, with Keri Russell and Mathew Rhys in the leading roles, portraying a seemingly normal American couple, who in reality is a duo of KGB spies. The Americans‘ first season has a rating of 8.1 out of 10 on IMDB, 8.5 out of 10 on Metacritic, and 7.9 out of 10 on Rotten Tomatoes. 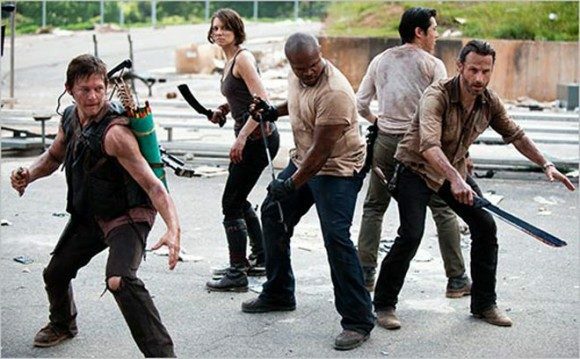 A second season is already scheduled to premiere in February 2014. As for awards, the show has gotten only two, a Television Critics Association Award and an American Film Institute Awards, but was nominated for two Emmys and has an outstanding number of 13 nominations in total, 4 of them still pending results. Shonda Rhimes has been proving herself as an amazing writer, showrunner, director and producer for the past decade with Grey’s Anatomy, but if there were any doubts of her immense talent, those have been dissipated in 2013 with Scandal. This political thriller might have premiered last season, but it was in 2013 that it really gained weight in American TV and became almost a religion for its fans, as Grey’s Anatomy has over the years. 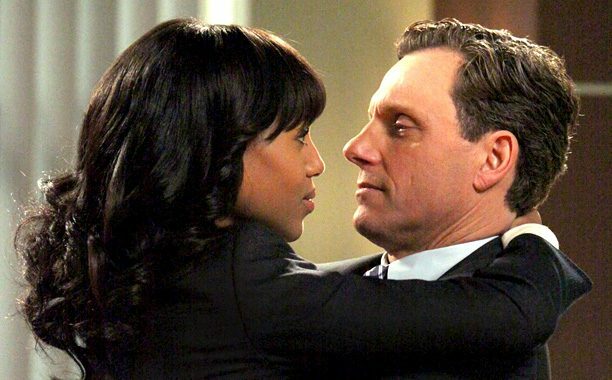 Scandal has a rating of 7.7 out of 10 on IMDB, 6.9 out of 10 on Metacritic and 9.3 out of 10 on Rotten Tomatoes. Up until now, the show has gotten five nominations and has won three prizes: two NAACP Image Awards and an Emmy for Outstanding Guest Actor in a Drama Series for Dan Bucatinsky (who plays James in show). Many say Kerry Washington’s work on her character has been seriously underrated because despite all the nominations, she has yet to win anything. That said, the actress is nominated for a Screen Actors Guild Award and a Golden Globe for her character Olivia Pope. This season may be The Walking Dead‘s fourth, but it wasn’t until 2013 that the show really started being appreciated by the critics and gained even more fans that it had already gathered in the two previous years, granting it a place in the top 10 best shows of the year. The Walking Dead has a rating of 8.7 out of 10 on IMDB, 8.4 out of 10 on Metacritic and 8.2 out of 10 on Rotten Tomatoes. In 2o13 alone, the show has received 4 prizes: two Saturn Awards, and ASCAP Award and an AFI award. It also has managed to get 17 nominations, including one for the Primetime Emmy Awards. 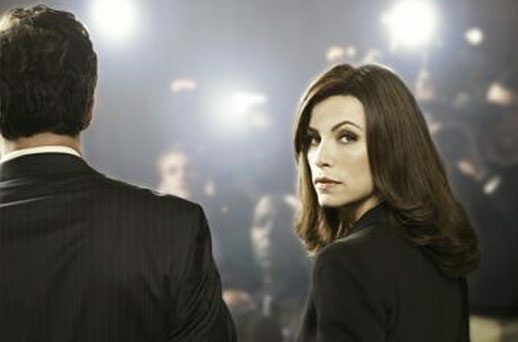 The Good Wife is yet another example of a show that gets better every year. Currently in its fifth season, the CBS show has been compared to Homeland in the way it manages to make the audience simultaneously love and hate both the leading character and its antagonist. The show has an overall rating of 8 out of 10 in IMDB, 8.7 out of 10 in Metacritic, and an 8.8 out of 10 on Rotten Tomatoes. Throughout the past four years, The Good Wife has gathered a total of 17 awards and 80 nominations. This season, it has won an Emmy and has been nominated for eleven other awards, including a People’s Choice Award and three Golden Globes. One of things that makes Homeland so great is that, every season, the audience must accept twists and turns that we far from anticipated, and more than that, these surprises are seemingly unbelievable in the real world yet work perfectly on the show. This season exaggerated these twists and turns most, with Carrie’s pregnancy and Brody’s death, just to give a few examples. The show gained many, many harsh critics, but now that the 12-episode run is over, there is no denying that this show is one of the best that ever aired on American TV. To prove that, the show has an overall rating of 8.6 out of 10 on IMDB, 8.1 out of 10 on Metacritic and 8.2 out of 10 on Rotten Tomatoes. Homeland has already won pretty much every award there is to win, and this year it received 11 awards, including three Golden Globes and two Emmys in addition to 28 other nominations, including a People Choice’s Awards still pending result. It is a generalized opinion that this season was not the greatest Mad Men has ever had, but there is an episode that, alone, granted the show a place high up in this list. The episode in discussion is “The Crash”, of course, in which Don Draper (Jon Hamm) met his own past and was confronted with the multiple uncertainties of his future. That said, and even if past seasons might have been better in general than this sixth one, Mad Men hasn’t failed yet and is expected to have a highly rated seventh season. The show has a rating of 8.7 out of 10 on IMDB, 8.6 out of 10 on Metacritic and also 8.6 out of 10 on Rotten Tomatoes. 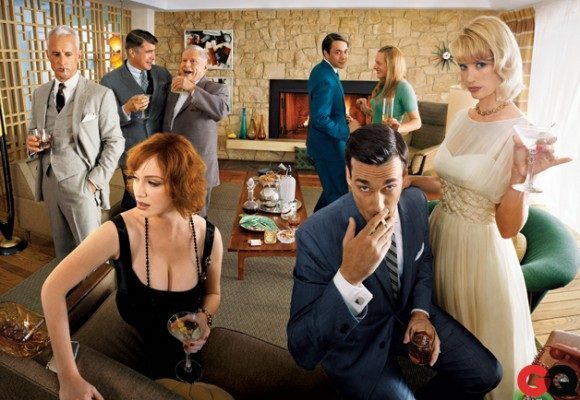 Mad Men has received a total of 63 wins and 175 nominations over the years. In 2013, the show won 4 awards and received 26 nominations, including one for the Golden Globes and an amazing number of twelve for the Emmys. 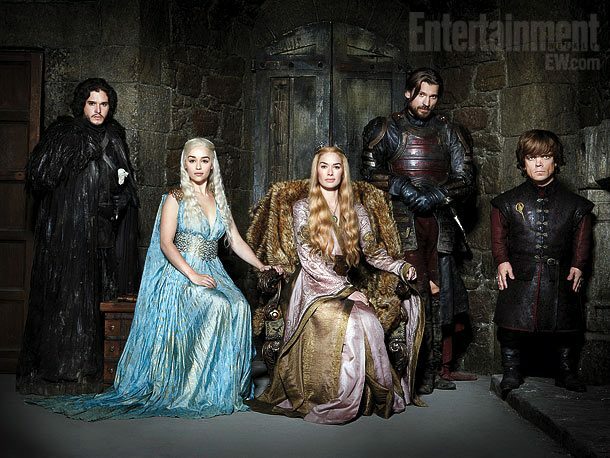 Game of Thrones can never be left out of any list about the best TV shows around and will always make the podium . This year is no exception. With an astonishing average of more than 4 million viewers per episode, the third season of Game of Thrones improved in every level from the previous two and proved to be, once again, one of the most favored shows to ever have aired in the United States, therefore receiving a very well deserved third place on this list. The show is rated with an amazing 9.4 points out of 10 on IMDB, 9.2 out of 10 on Metacritic and 8.2 out of 10 in Rotten Tomatoes. It has also won every award there is to be won, with a grand total of 42 wins and 99 nominations. This year has been especially amazing for Game of Thrones, with 20 awards received (two Emmys among them) and 39 other nominations. It is impossible to make a retrospective about TV shows in 2013 and not mention Orange Is The New Black. The Netflix original series was such a big hit that it climbed, without any effort, all the way to the second place of this list. The show revolved around Piper Chapman (Taylor Schilling), a New Yorker sentenced to fifteen months in prison and, while serving her sentence, is confronted not only with a collection of very different and complicated inmates, but her own conflicted feelings for her currante fiancé and her ex-lover… who happens to be the one who put her in prison, and who is also there with her. 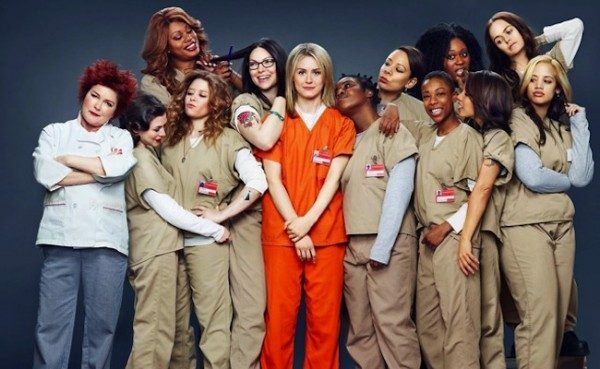 Orange Is The New Black managed to get, on the first week alone, more viewers and hours viewed than any other Netflix series, including the other originals House of Cards and Arrested Development. The show has a rating of 8.5 out of 10 on IMDB and also 8.5 out of 10 on Metacritic, and 8.3 out of 10 on Rotten Tomatoes. It has received a total of 11 nominations (including one for a Golden Globe) and two wins: a Satellite Award and the 3rd place on a Key Art Award. We’ve finally arrived on the first place of the list and the one who tops it was practically undisputed in this run. Breaking Bad is considered almost unanimously the best show of 2013 and, for many, it is even considered the best show ever made. While we’re only talking about 2013, it has to be said that this show – and, especially, its ending – generated more buzz alone than the majority of the other nine shows on this list put together. What’s even better is that most of the critics are positive and people aren’t even sad the show has ended, because it was solved perfectly well. And how many times does that happen? Exactly. 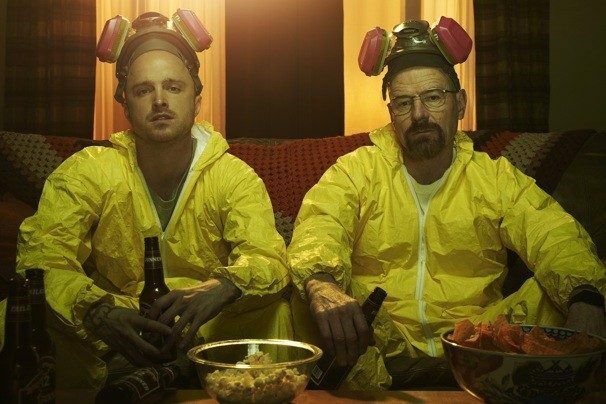 After five amazing seasons, Breaking Bad came to an end in 2013 and has a rating of 9.5 in IMDB, 9.3 on Metacritic and 9.8 on Rotten Tomatoes. Its awesomeness is, therefore, recognized by everyone. With a grand total of 48 wins and 124 nominations, in 2o13 alone the show has received 14 wins and 44 nominations, many of them still pending results, including 3 Golden Globes and 2 People’s Choice Awards. That’s definitely going out with a bam!